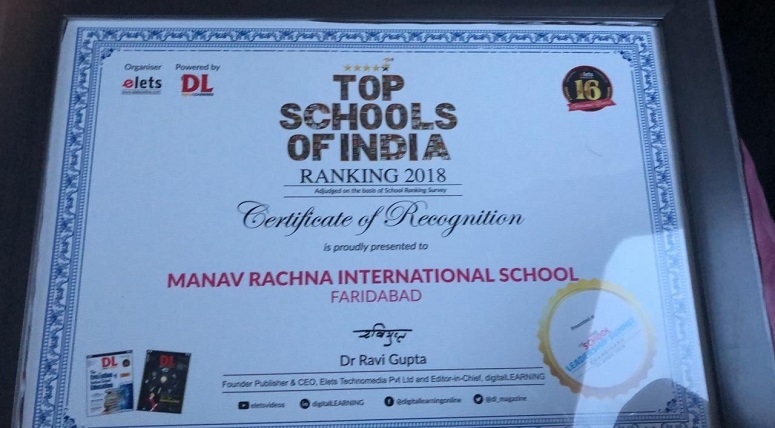 With immense pleasure and pride, we would like to share the heartening news that Manav Rachna International School Sector-21C, Faridabad has been adjudged as Top School of India, fifth time in a row, in the recently conducted most comprehensive ranking of top Indian Schools in 11th School Leadership Summit 2019 conducted by digitalLearning India. 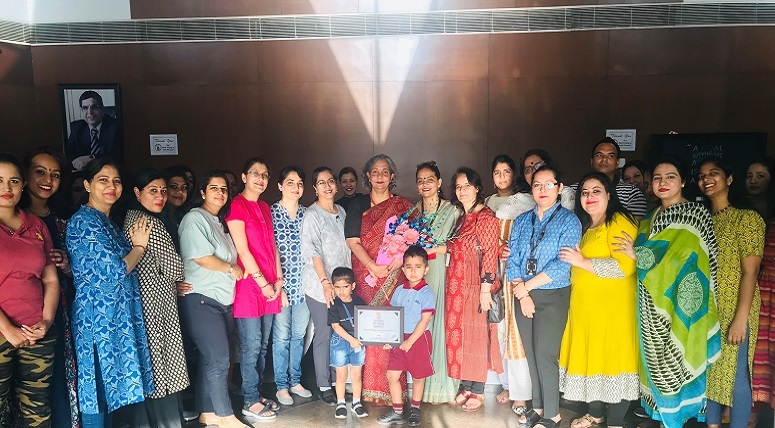 We were adjudged for deliberations around emerging thematic of Learning Outcomes; Outreach and Access; Examination Systems; Teacher Education; ICT Interventions for New Knowledge, Pedagogies and Approaches for education; Standards, Assessments and School Management systems; ensuring the Comprehensiveness of Education and Child health. We congratulate students, staff and esteemed parents for their perseverance, hard work and encouragement.